Managing weeds early and addressing weed resistance challenges should be top of mind. 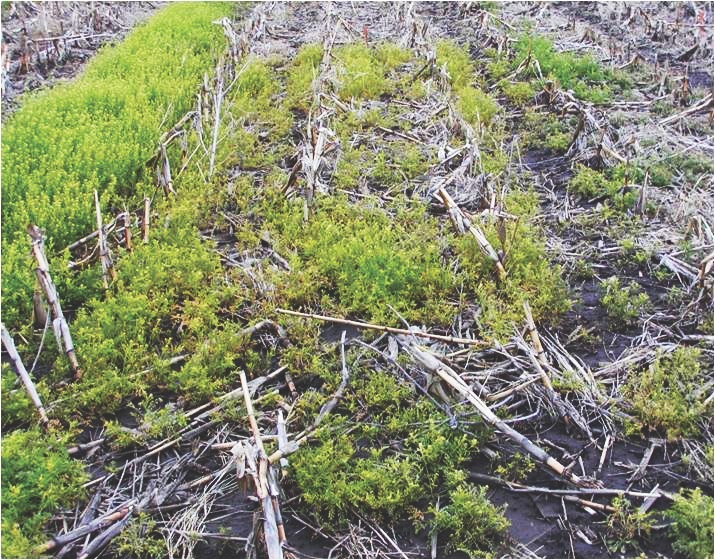 Early weed control is important to ensure good crop emergence and stand establishment for most crops, especially in crops that are poor competitors with weeds, like pulses. The timing of the critical weed control period – the growth stages in the crop that must be kept weed-free to prevent yield loss – is based on yield loss due to weed interference of no more than five per cent. This stage is important to increase the crop’s competitiveness and to maximize the crop’s yields and performance. Including a pre-emergent soil-applied herbicide can extend control through this critical weed-free period. “The biggest benefit of using any type of pre-emergent soil-applied herbicide is the extended control and the development of that soil barrier that helps control emerging or germinating weeds . . . weeds that a burnoff (or contact herbicide) won’t touch,” says Krista Henry, marketing and communications manager, FMC Agricultural Solutions. Rachel Evans, technical sales manager, Eastern Prairies with FMC Agricultural Solutions, notes timing an important factor, however this can change depending on a grower’s location – even across Western Canada. But understanding how a pre-emergent herbicide works, and what is happening in the soil and below the surface when the product is applied, is just as important as proper timing, according to Evans. The product works below the soil before the weeds even come up, controlling them underground, so there won’t be any evidence of dead weeds at the surface, for example. Using a pre-emergent herbicide, such as Authority 480, is an important part of a grower’s herbicide layering strategy, as it can provide a way to manage weeds early and combat some weed resistance challenges. Jordan Brisebois, account manager for FMC Agricultural Solutions, says the product can be applied pre-seed or pre-emergent, depending on soil and moisture conditions and weed competition. “Authority 480 can be soil-applied pre-seed very early because the product is photo stable,” Brisebois explains, adding it needs moisture to be activated. Growers can also apply the product pre-emerge, or closer to a pre-seed burnoff timing, when some weeds may already be up and can be tank-mixed with glyphosate (Group 9) and Aim EC herbicide (Group 14), to save multiple passes. In addition, applying a pre-emergent herbicide, up to three days after seeding and before crop emergence, reduces the risk of moving the soil and reduces the efficacy of the extended weed control soil barrier formed by the herbicide. As always, growers must consider several factors, such as soil type and weed spectrum, when choosing a product and the right application rate. A lower rate can be used for targeting specific weeds, like kochia, and for lower organic matter soils. Conversely, higher rates are recommended to control additional weeds like lamb’s-quarters, redroot pigweed, wild buckwheat and suppression of cleavers. A lower rate can also be used when soils have organic matter content higher than three per cent and a pH level of less than seven. Above all, protecting herbicide technologies is imperative, and growers need to be vigilant in their herbicide stewardship. Across Canada, it’s been confirmed that using multiple modes of action and practicing herbicide layering helps to slow the development of herbicide resistance. For more information, visit fmccrop.ca/products/authority-480-west.